What is Digital Transformation and What Role Does ITSM Play in it? Is it Worth Modernizing IT and ITSM as Part of the Digital Transformation Journey? 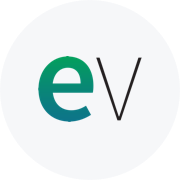 EV Connect 2018 to Showcase Modern Employee Experiences, Advanced Self-Help Capabilities, and More! New 2018 Gartner Magic Quadrant for ITSM Tools is Out!